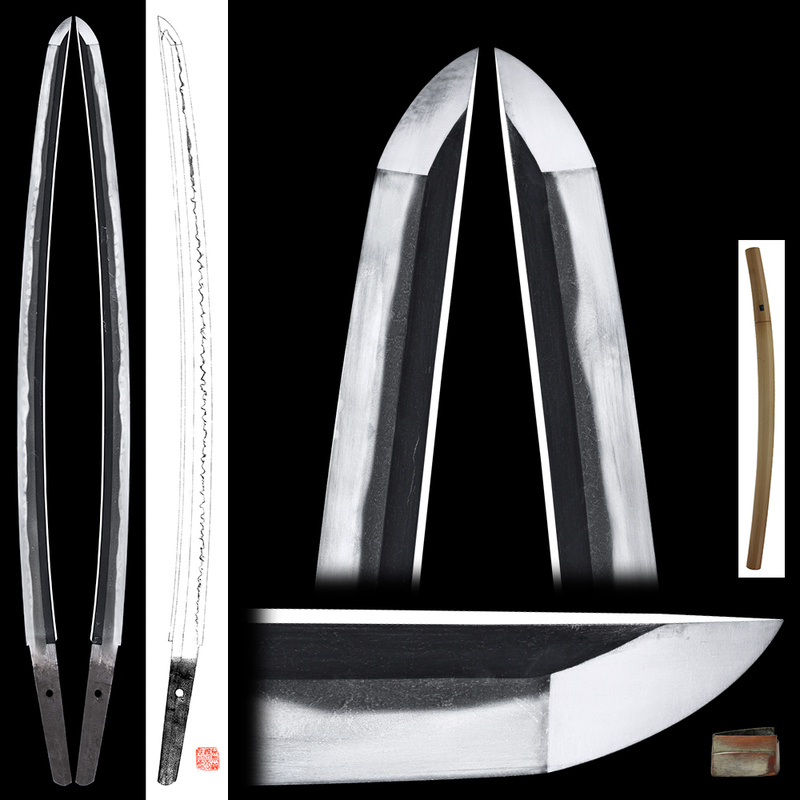 Blade length : 58.0 cm or 22.83 inches. Sori : 1.7 cm or 0.6 inches. Width at the Kissaki : 1.86 cm or 0.73 inches. Shape : It is regular with and thickness and deep sori. It is long elegnat wakizashi. Jitetsu : Itame hada well grained with mokume hada well grained and some shirake utsuri appearing. There is kizu appearing on the shinogi-ji. Hamon : Konie Deki gunome midare with Togari gunome midare mixed. Boushi is round end. 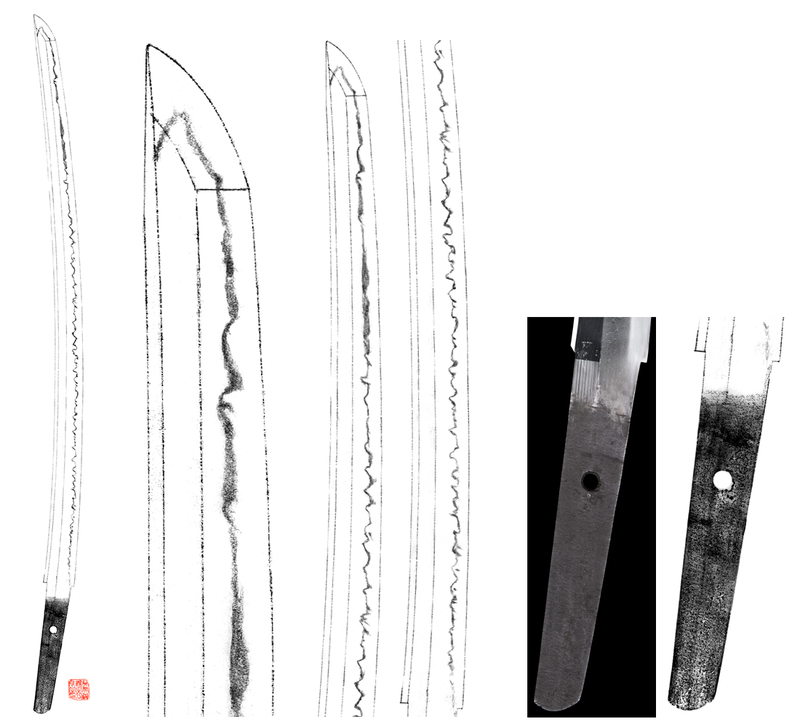 Special feature : This piece is mumei but from the work it is Seki swordsmith. The jigane is nice with clear mokume hada. nevertheless it is nice shape and the jigane is wonderful.